Plateau Indian Art on Main Street is a project of the Josephy Center for Arts and Culture, funded by a generous grant from the Oregon Community Foundation. 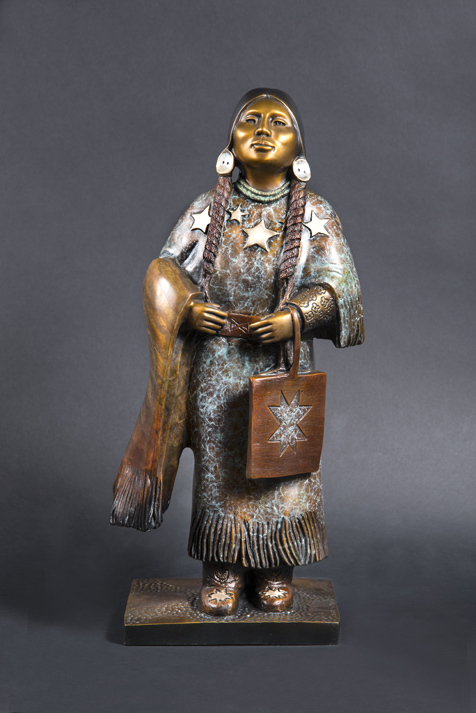 It will allow for an artist of Plateau Indian background to put up an art piece in downtown Joseph, OR, joining the considerable bronze statues already on display. The Josephy Center’s namesake, Alvin Josephy, Jr,, helped bring the Nez Perce story back to American attention with his classic history of the tribe, The Nez Perce Indians and the Opening of the Northwest, published in 1965. The grant is part of OCF’s “Creative Heights” initiative, which encourages non- profits, artists and citizens throughout the state to test new ideas, stretch creative capacity, and provide unique opportunities for Oregonians to experience innovative arts and culture. The initiative has thus far invested more than $945,000 through 13 Oregon nonprofits, part of a $4 million, four-year investment by OCF in arts and culture around Oregon. Artist Doug Hyde was born in Hermiston, Oregon, and traces Nez Perce, Assiniboine, and Chippewa tribal ancestry. 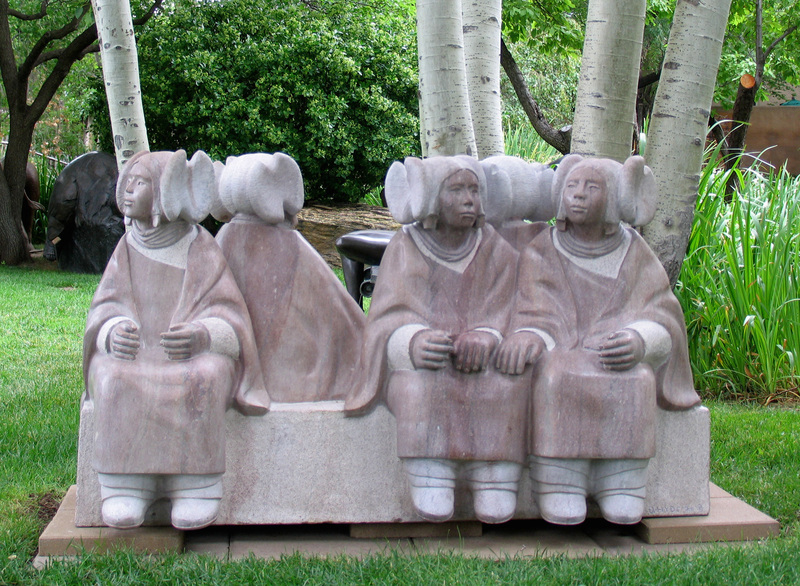 He attended the Institute of American Indian Arts in Santa Fe and the San Francisco Art Institute in the 1960s. While recuperating from serious injury after a second tour in Vietnam, Doug learned to use power tools to cut and shape stone. Sculpting in stone and bronze became the passion and focus of his life. Hyde will receive a $25,000 artist award in three installments over a year-long period, with additional grant money available for artist travel and expenses, and artwork production. The second finalist for the project was Yakima artist Toma Villa. Each finalist had time to draft a proposal for jurors from tribal and local communities. Doug’s proposal deals with Nez Perce removal and return to the Wallowas. He will visit the city and meet with local artists and Josephy Center and city officials in the near future before developing a final plan. In 1998, one of Hyde’s sculptures was installed at the White House. In 2008, his bronze, Little Turtle, was purchased for the permanent collection of the Smithsonian’s Cultural Resource Center. Hyde has focused most of his efforts in the past decade to help Native American tribes tell their stories. The Josephy Center and Oregon Community Foundation are proud to give Doug Hyde the chance to tell the Nez Perce story in the town named for its most famous leader. More information on this project is forthcoming….